This model standardizes its modular width of 80 cm and has the same depth as the Pira 70 XL LUX. The model PIRA 80 LUX is the third charcoal oven in size of a new generation of charcoal ovens that is revolutionizing the world of catering. Its features, performance, savings and size make it a very economical model, profitable and preferred by many chefs for its comfortability. 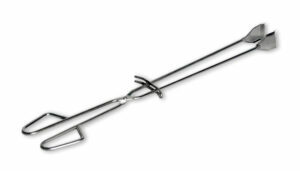 When the oven reaches its maximum operating temperature, the oven outside structure temperature remains controlled and safe. The temperature inside the cooking chamber is maintained for hours, even after the service is finished. Thus, although production is equal that other oven with the same dimensions, this oven saves energy and money; because there is a very low charcoal consumption. The same amount of charcoal can be used to cook up to 25% than a charcoal oven without PIRACOLD. 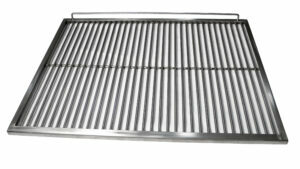 It is ideal for small/medium establishments or for restaurants where the grill is an additional line in the menu. The best oven at the best price! 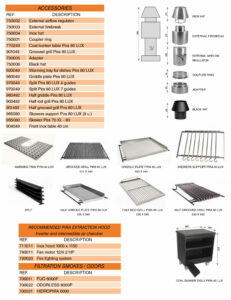 Thanks to the internal oil & grease collector, this model let you also cook with a grooved grill all kinds of food without flames and avoiding burning the food: fish, meat, vegetables. 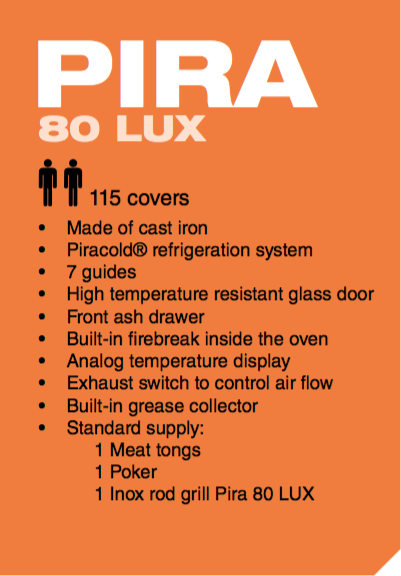 The Pira 80 LUX is equipped with a glass that withstands high temperatures up to 750ºC allowing you to view the food whilst you are cooking, this helps to maintain oven temperature and reduces charcoal consumption. Can be used with all types of charcoal. 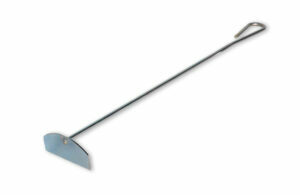 Supplied with 1 standard stainless steel grid, 1 meat tongs and 1 poker.